Concord, California offers everything you’d hope for in a place to live. High end shopping, fine dining, entertainment, education, and an array of recreational and employment opportunities abound in a community touted as being one of the kid-friendliest places to live in America. Concord is situated within 65 miles of San Francisco, Oakland, Sacramento, and San Jose. Although Concord spent 40 or so years as a bedroom community of San Francisco and Oakland, it has grown into adulthood and thrives as an independent city with a wide range of amenities. The largest city in Contra Costa County, Concord is home to a population of 127,522 residents in the 94518, 94519, 94523, 94598 zip codes. 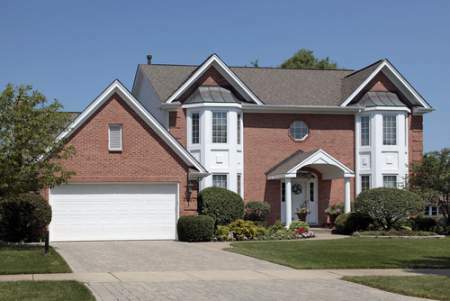 Residents enjoy annual average household incomes that are slightly above the state’s average. Concord residents earn roughly $72,114 annually in contrast to California’s $64,500. Home values follow the same trend with values in Concord, California of around $463,700 as opposed to the state’s average home value of $449,100. The community’s age is reflected in its unique architecture and housing styles which varied over the years. East of downtown, and north, is an older residential area pre-dating World-War II that consists of modest older homes. The Industrial neighborhood is on the northern edge of town, and a trip to the southeastern residential area spawns a nostalgic flashback of the 1960s and 1970s. Students in the area that are attending public schools attend schools governed by the Mount Diablo Unified School District (MDUSD). Within the district, there are 14 elementary schools, three middle schools, four high schools, and a few alternative learning facilities for continued learning. Concord is also home to a variety of charter schools and private schools. Furthermore, California State University East Bay has a campus in Concord for higher learning. Getting around town and to surrounding areas is convenient thanks to the Bay Area Rapid Transit commuter train system, also known as BART, and by County Connection bus route service. Oakland International Airport services residents and visitors needing air travel accommodations. The focal point of downtown concord is Todo Santos Plaza, a plaza that spans a city block. A favorite hotspot for locals, the venue features a farmer’s market, free summer concerts, shops, and a wide variety of restaurants. Much of the downtown area has been renovated to incorporate highly-populated apartment homes and condominiums with convenient access to public transportation and nearby amenities. The Concord Civic Center boasts a brand-new playground, and is in the same vicinity as the Concord Library of the Contra Costa County Library System. Relaxation and recreation aren’t hard to come by. Visit Baldwin Community Park, Concord Skate Park, Markham Regional Arboretum, or several other venues throughout the city. The Concord community is chock full of community spirit, focused on family values, and celebrates a number of festivals, parades, holiday events, and community gatherings throughout the year. Concord, California has a unique personality, juxtaposing industrial technology and corporate growth with small-town charm and neighbors who enjoy spending time socializing with one another.